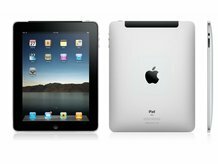 According to sources within the manufacture Foxconn, Apple will start to stockpile their new iPad 2 tablet by the end of February 2011. Sources have suggested that the Taiwanese manufacture Foxconn who made the first iPad have delayed the release of the new iPad due to the requirement of further testing. The release of this new tablet from Apple will be unveiled aroundApril to May for the US and a month later for the UK. Digitimes’ sources suggests that between 400,000 to 600,000 units will be shipped to Apple in the first phase and then ramped up when Apple sale globally.